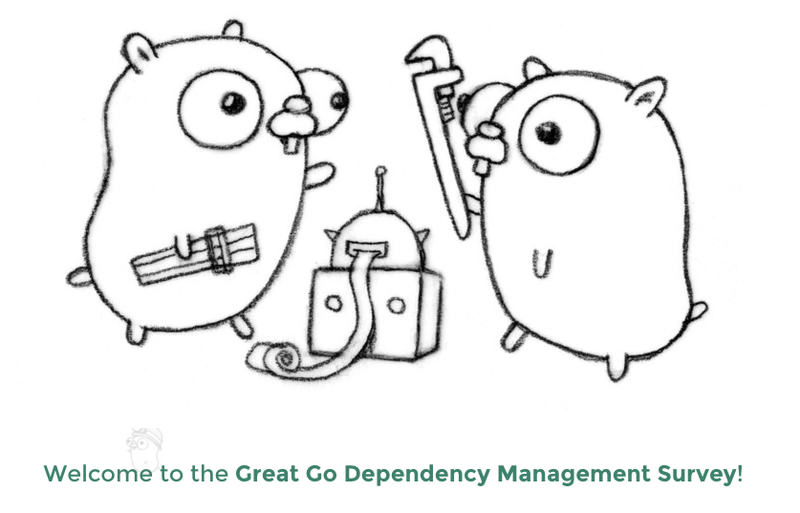 Part of the Go communities recent efforts to build better dependency management solutions has been to capture information. That has included getting details on what other programming language ecosystems are doing and the needs of companies and large organizations in the Go space. But, that isn't enough. To understand the Go community, it's needs, and where Go programmers are coming from we need to go right to the community to ask. To facilitate that we are launching a survey that we ask all Go developers to take. Please take a few minutes and provide feedback. It will help us understand needs rather than guess or assume them. I want to give a special shoutout to Steve Francia (a.k.a. spf13) on this survey. After I initially started crafting something he jumped in to help and ended up putting something together that was far better than I would have done.